"The Path of the Sun"
In 2008, the author of The Andean Codex, Dr. J.E. Williams, went back to Peru and returned to give us an unforgettable story of the sacred way of the Q’ero. This new book takes us to the highest mountains and deep into the labyrinth of the heartland of the gods themselves. As he is learning the beautiful, inexorable value system that goes back to a time before the Incas, Williams discovers that nothing is given to those who take it for granted. Beyond the physical plane, he is taught by his mentor, Sebastian, to be prepared to meet the spirit deity of that most sacred of all Andean mountains, Apu Ausangate. But Sebastian cannot promise deliverance. He is there only as a guide, not a guarantor. 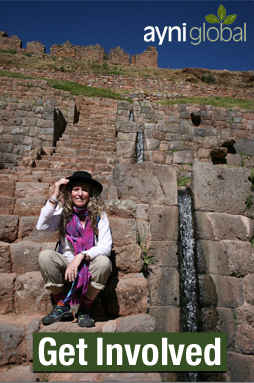 Dr. Williams, known as Santiago in Peru, has lived and traveled in the Andes for more than forty years. He has dedicated the last sixteen years in search of the secret of the Andes. He believes the Andean principle of Ayni is a secret so simple, and yet unbelievably compelling, that it possesses the key to sustainable living. Ayni is to ethical living on earth as evolution is to biology – a golden compass that always points true. Light of the Andes reveals the true secret of the Andes, Ayni – the sustainability principal – as taught by the last ancestors of the Incas, the Q’ero. To learn directly about Ayni, Sebastian takes Santiago (the author, Dr. J. E. Williams), into the highest mountains, to the abode of the most powerful of Apus, Ausangate – the great teacher, the shaman’s master. The thin, high mountain air and the mystical landscape foster inner transformation. His accounts of Q’ero prayers and practices, beliefs and teaching, provide insight into a timeless way of knowledge. As he ascends to the roof of the world, Santiago weaves the secret of the Andes into the archetypal personal spiritual pilgrimage, an authentic journey of the heart, and returns with a message of how to heal ourselves and the planet. Our signature tour provides an unparalleled opportunity to enjoy the spectacular Peruvian Andes while experiencing authentic Q’ero shamanism. This magnificent journey explores exquisite landscapes, extraordinary Incan ruins, and introduces you to the mystical inner world of traditional shamanism. We visit glorious Machu Picchu and other amazing Incan sites, but also discover breathtaking ruins off the usual trails. Along the way, you partake in shamanic rituals and learn the ancient way of the Q’ero directly from the living ancestors of the Incas. To deepen your understanding and practice of Q’ero shamanism, we offer serious students a traditional initiation into the way of Ayni. As an initiate, you become an aynipampamisayoq, a neophyte traditional ceremonialist. At the first initiation, or karpay, you become a “misa-carrier,” one who holds the earth as sacred and who is given a misaq’epe, the sacred bundle. You also learn which of the three shamanic powers best suits your personality. Many more karpays are required to become a master shaman, but all journeys start with a single step. This unique experience is the portal into the world of the shaman. Sign up to receive updates about ayniglobal events and projects.